Karen Jurgens is here today to tell us about her new novella, Desire’s Promise, available on Amazon! But first, here’s the book blurb. Just when it appears hopeless, Clay McKinney two-steps into Carlie’s life, promising to provide everything she’s looking for. But if he’s God’s answer, why can’t her heart release Lance? Where will her final destination be on this journey of trust? Tell us about your novella. 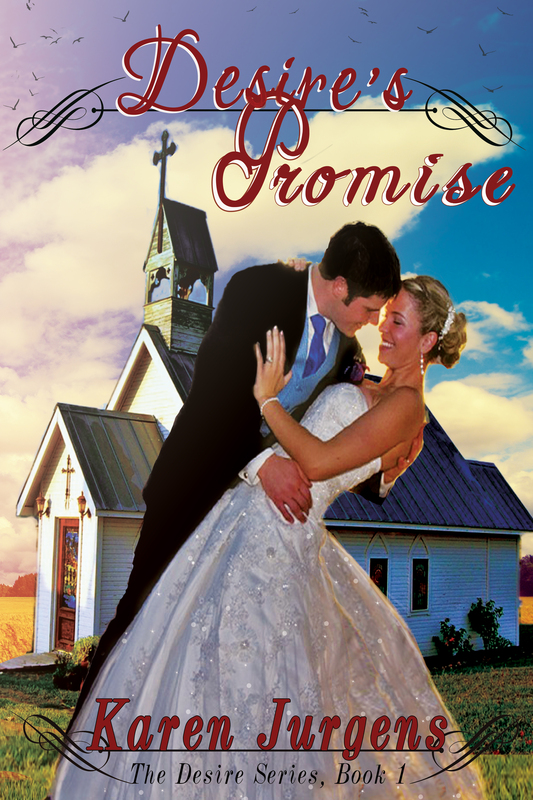 My novella introduces Carlie, a Christian girl, who plans to marry her secular boyfriend, Lance. Those plans fall apart when her parents’ marriage fails due to her dad’s infidelity. Stressed by the pending divorce as well as her mom’s warnings about being unequally yoked, she decides to put her relationship with Lance on hold. Although Lance doesn’t understand why he’s being rejected, Carlie decides to put God’s Word to the test by trusting Him for her future mate. Just when it looks like she’s lost all her close friends, God answers her prayers in an unexpected way. Why did you feel there was a need for this book? It is written out of a ministry I founded two years ago, Touched by Him Ministries. I had been praying for exactly how the Lord wished to use me, and He gave me the answer: Christian marriage. As a mother, I had a strong desire to see my daughters grow up to marry godly husbands. As a retired high-school teacher, I saw a great need for guiding and counseling teens during those vulnerable years. This evangelical story is for every teenager and young adult who is looking for a happily-ever-after marriage or for anyone who enjoys reading a romance with college-age characters. What marital advice would you offer a young girl looking for love? Especially one raised in church, but who is discouraged by so many failed Christian marriages? I would encourage every young girl to pray daily for her Christian mate and to trust the Lord with her future. Especially be patient because meeting the right person isn’t magic, nor does it happen overnight. God works through the lives of many people to bring about the right circumstances for that special day to arrive. It’s like piecing together a patterned quilt or composing a symphony using many different instruments. Once it happens, you can look back and see how the Lord was working all along. Believe that God’s Word is true, memorize it, and stand on it. It will never fail, especially in this day when it appears that so many good people fail. A Christian marriage involves three: a husband, a wife, and Jesus Christ. And a strand of three cannot easily be torn apart. My current WIP is Desire’s Deception, and it’s a novel about Carlie’s parents, Steve and Gwen Livingston. As Book 2 of the Desire Series, it deals with how Steve’s infidelities almost destroyed his Christian marriage. Gwen deals with deep hurt along with forgiveness and trust issues, while Steve copes with turning away from his secret life that led to sin and away from God. Can their marriage be saved? So many couples face these same issues—with a variety of different circumstances. I hope the story will minister to all couples experiencing marital difficulties leading down the road to divorce. With God at the helm, rough waters can be crossed safely to shore, even when it may appear hopeless. 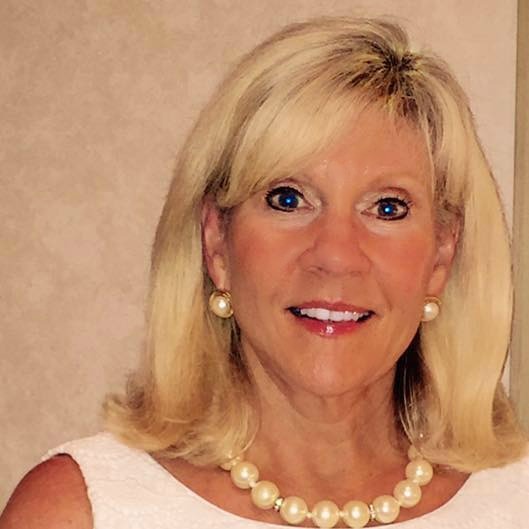 Karen Jurgens, a native Cincinnatian, has been a Texan transplant for thirty years and counting. Since retiring from teaching in 2014, she has begun a new career writing, blogging, and speaking through her new ministry. Her first contemporary romance novella, A Christmas Mosaic, was published in October 2015, as part of a multi-novella anthology, Warm Mulled Kisses. Book 1 of The Desire Series, Desire’s Promise, was just published through Amazon in October 2016. Book 2, Desire’s Deception, will be published mid-2017. The series deals with Christian marriage principles and targets adults of all ages. She is a Crew Member at https://writingpromptsthoughtsideas.wordpress.com and a member of ACFW. You can also find her ministry posts monthly at www.heartwingsblog.com and can also follow her personal blog about scriptural answers to life’s trials at Touched by Him Ministries: www.karenjurgens.com. Thanks, Gail, for inviting me today. I appreciate your kindness and generosity. Blessings! You’re welcome, Karen. I think the subject of your book is worth sharing. So many today leap into marriage without counting the cost. Hope your book will minister to those searching for an answer. Blessings!